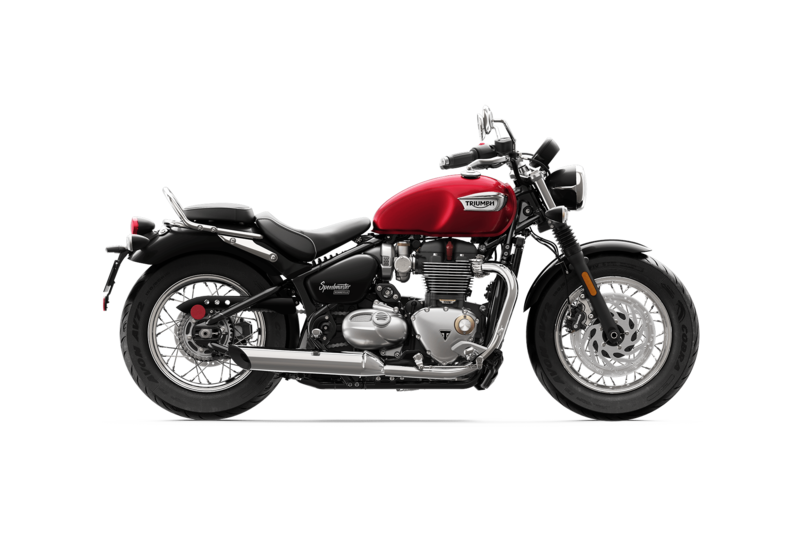 The all-new 2019 Triumph Bonneville Speedmaster motorcycle is now available and it’s taking riders from the Gladstone and Portland, Oregon area by storm. You can find the new Bonneville Speedmaster with our local Latus Motors Triumph dealership. We at Latus Motors have a large inventory of new and used motorcycles and ATV’s and invite you to browse our massive lot. If you are looking to explore the features of the new Speedmaster, visit with us today. And when you visit, schedule a test drive of the new 2019 Triumph Bonneville Speedmaster. On your test drive, check out the many features of the new Speedmaster, such as the forward footpegs, swept-back beach bars and comfortable pillion capability. You’ll quickly find that the new Speedmaster offers its riders a superior level of handling, comfort and control. Residents from around the Portland, Oregon area who are starting their search for a new motorcycle, should check us out at Latus Motors Triumph. Our team is highly trained to help you find the right bike to fit with our lifestyle. If you are interested in the new Speedmaster, fill out our online Credit Application to become pre-approved for a loan. And if you are trading in your current bike, make use of our online Trade-in Calculator. If you have any questions about the new Bonneville Speedmaster, contact our friendly team today!